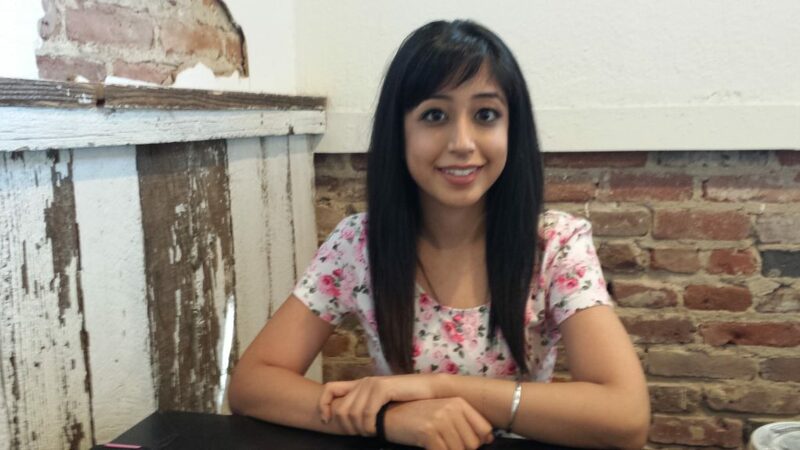 Meet Raman (Ramandeep) Grewal – our newest #FFW blog volunteer! Meet Raman, a gifted and creative addition to the ranks of our Fresno Filmworks volunteers. Raman joins us as a blog contributor and debuts with her first newsletter as Filmworks returns from summer break. You can read her insights on Hany Abu-Assad, the director of “The Idol”, our first film of the 2016 fall season. Raman used her camera to explore making characters appear and disappear from video by erasing frames. She has pursued her interest in film through the years, graduating from University California, Santa Cruz in December 2015 with a major in both film and English literature. What sort of things do you like to write? “I’ve written poetry and short stories. I took creative writing in college, and at one point wrote a lot of film scripts.” Now Fresno Filmworks is lucky enough to have Raman continue the development of her writing skills as one of our bloggers. As Raman has departed from the cool of the ocean and redwoods that surround the UCSC campus and readjusts to the heat of the Central Valley, she ponders her next education and career steps. When her plans solidify Raman plans to go back to school for her masters. She also weighs the possibility of returning to her parent’s homeland in the city of Chandigarh in Punjab, India. There are grave stories to tell of female infanticide in the poorer areas of India. And there is work that she would be glad of in teaching conversational English to those students wanting to study abroad. Meanwhile, not to stand idle, Raman is substitute-teaching for the Kerman Unified School district where she grew up and now resides with her family. In addition to film Raman enjoys tennis, art museums and painting and just recently visited the Museum of Contemporary Art in San Diego. While she was at Santa Cruz, Raman performed with a Bollywood dance troupe at various school events. Her heritage and the culture of India also influenced Raman’s interest in film. How has your taste in movies evolved over the years? “I grew up watching my dad’s old VHS movies. They were various musicals and mostly love stories. I didn’t even watch English movies for the longest time because my parents speak Punjabi and that’s what I was around.” Raman laughs as she recounts becoming interested in English movies and her obsession with Macaulay Culkin and his adventures in Home Alone. “As I’ve gotten older I appreciate independent films more and like exploring more genres.” Raman is happy to have discovered Fresno Filmworks and has already been directing friends our way. What are some of your favorite films and genre of films? “Some films that I like are Eternal Sunshine of the Spotless Mind, Little Miss Sunshine, Dancing in the Rain, All About Eve, Suzhou River, The Lord of the Rings and Harry Potter series, The Emperor’s New Groove, and When Harry Met Sally. Oh, and Hocus Pocus is my favorite film to watch during Halloween season.” Raman enjoys comedy and the shocking elements that comprise suspense films. She pursues much of her interest in indie films through YouTube and Netflix. What do you see as the core elements of good filmmaking: “Consistency, good acting, and good cinematography.” Raman cites the point-of-view camera work in Batman Vs Superman as a poor example of the latter which only resulted in giving her a headache. Raman thinks that there’s a very fine line between good and bad special effects and that if there is not a good story line, the special effects only serve to distract further from the film. Raman has been documenting her path and the development of her voice for a long time. She has been keeping a journal since she was twelve years old. Her road to discovery is one that we can now share. We welcome Raman and look forward to her contributions to our film-loving community.